YouTube has evolved into a platform that provides many content creators with careers. If you’re thinking about starting a YouTube channel, you’ve probably wondered how you can earn an income from it. The truth is not many peopl will earn millions of dollars on YouTube These YouTubers Are Earning Millions: What's Their Secret? These YouTubers Are Earning Millions: What's Their Secret? Here is a list of the biggest channels on YouTube and how they got to be so popular. Who know, perhaps you'll learn the secret to making it big on YouTube. Read More . However, as a YouTuber you have several options for monetizing your content. Let’s take a look at the most popular ways to make money on YouTube. Like most free services, YouTube is powered by ads (and paid YouTube Red subscriptions Is YouTube Premium Worth the Cost? 7 Things You Need to Consider Is YouTube Premium Worth the Cost? 7 Things You Need to Consider Is YouTube Premium's cost worth it? We look into the pros and cons of YouTube's paid version. Read More ). Before you watch most videos, and sometimes in the middle of longer ones, you’ll have to watch a short ad. Some of the money from this goes to the channel, and some goes to YouTube itself. YouTube has recently changed when your channel is eligible for monetization (meaning ads show on your videos). In April 2017, YouTube started requiring channels to have 10,000 lifetime views for monetization. In January 2018, YouTube further updated its rules YouTube Introduces New Rules for Content Creators YouTube Introduces New Rules for Content Creators YouTube is introducing new rules for content creators. These could help make YouTube a better platform, but will also make it harder for anyone to make any money. Read More to require channels to have 4,000 watch hours in the prior 12 months, plus 1,000 subscribers, for monetization. This means you won’t be able to make money from ads until you start building a fanbase. When eligible, you’ll want to visit your Creator Studio, then click the Channel tab on the left. Under Status and Features, select Enable under Monetization to get started. From there, you’ll need to link your AdSense account, choose what types of ads you’d like on your videos, and go through a review. Check out YouTube’s monetization steps for more information. Unfortunately, there’s no simple formula for how much you can make through ads. It depends on how many people watch the full ad, how many viewers use an ad-blocker, and other factors. In addition, YouTube has experienced a lot of problems lately with advertisers pulling their ads from the platform. This has led to the site demonetizing lots of videos for questionable reasons. Overall, this means that when you’re starting out, ad revenue is not guaranteed. Product placement is an age-old advertising technique that’s common in TV shows and movies. It’s essentially using specific brands (such as Apple) in order to promote them. For example, a movie from Sony Pictures may include someone playing a PlayStation 4 on a Sony TV. 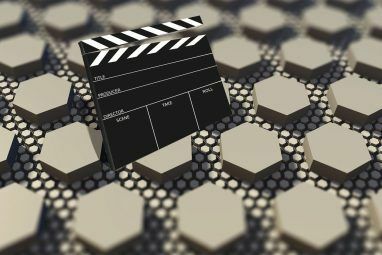 On your YouTube channel, you may be able to strike a product placement deal with a company that’s relevant to the kind of content you produce. Of course, you’ll likely need to build a following before a brand will want to advertise with you. The product placement doesn’t have to be the entire focus of your video—just part of it. Mentioning or using a brand in your video in a natural way is all that’s required. Rhett & Link’s video above is an example of product placement done well, as the music video stands on its own aside from the Buick promotion. This is a solid advertising tactic because people can’t skip it. Additionally, viewers often feel a connection with their favorite content creators. This lends more authenticity to your recommendations, but you have to take care that this doesn’t backfire. If you don’t make it clear that you’ve been paid for the promotion or don’t actually like the product you’re reviewing, it could negatively affect your viewers’ opinion of you. Thankfully, YouTube includes a checkbox that lets people know your video contains sponsored content. Sponsored videos are similar to product placement, but with a few key differences. While product placement involves integrating a brand into an existing video, a sponsored video is entirely based around a brand. If you run a gaming channel (one of the most popular types of YouTube channels 10 Most Popular YouTube Videos You Can Make Today 10 Most Popular YouTube Videos You Can Make Today If you want to start a YouTube channel today, these are the most popular types of video you can make. Read More ) for instance, a developer might approach you to make a video about its game. Since you likely wouldn’t have played this game otherwise, you’ll let your viewers know that the developer paid you to make the video. Sponsorships came come in less drastic forms, too. Many YouTubers include a short sponsor message at the start of their videos. This is essentially a quick advertisement for a brand that’s separate from YouTube ads. Like product placement, sponsored videos are a good alternative for making money but you should be careful with them. If you don’t come across as genuine, your audience might find these videos in poor taste. Thus, you should try to avoid advertising sponsored content you’ve never actually used or don’t endorse. You’ve probably heard of affiliate links, as many websites use affiliates to make money 5 Myths About Making Money Online That You Should Never Believe 5 Myths About Making Money Online That You Should Never Believe It's the ultimate dream: make tons of money from your living room, working according to your own schedule, with no one telling you what to do. Sounds great, doesn't it? Read More . Basically, affiliate links allow you to create a unique URL to a website. When anyone follows that link and buys a product, you get a small percentage of the sale. These are pretty easy to set up, and don’t require sponsorship deals from brands. If you talk about a certain product in your video, you could include an affiliate link to its Amazon page in the description. Or, you could add an affiliate link for services like Audible, where you’ll make some money if someone decides to sign up. Affiliate links are a good passive source of income. After all, if someone is going to buy a product anyway, it doesn’t take much extra effort to buy it through your affiliate link. Like the other methods, it’s a good idea to clearly disclose when you include affiliate links to your audience. With YouTube ads being unreliable How to Deal With YouTube's Monetization Changes How to Deal With YouTube's Monetization Changes YouTube's new monetization rules have hit content creators hard. Here's what to do if you're no longer earning the money you want from YouTube. Read More , many creators have turned to fan funding as an alternative way to make money. This involves joining a service like Patreon that lets fans donate some money each month to support their favorite channels. Most creators who use Patreon offer tiers of rewards in exchange for their fans’ support. You might list their names at the end of each video, host a video chat with them every month, or provide behind-the-scenes clips. It’s a great way to connect the biggest fans with their favorite channels, and provides a somewhat-steady form of revenue. Viewers can also sponsor a YouTuber You Can Now Sponsor Your Favorite YouTubers You Can Now Sponsor Your Favorite YouTubers YouTube now lets you sponsor your favorite YouTube gamers. And even if you don't watch any gamers on YouTube, sponsorships are likely to become a big part of YouTube in the future. Read More , but most people will probably want to stay outside YouTube for this option. If you livestream on your channel, you can also use the Super Chat feature. This allows viewers to donate money to you in exchange for highlighting their message for a while during a stream. Another monetization option is creating merchandise to sell to your fans. Websites like TeePublic let you create custom designs for T-shirts, wall art, mugs, and more. Many creators create designs featuring popular catchphrases, jokes, or art from their videos. Once you’ve created some cool designs, let viewers know about them in a few videos. Include a link to your merchandise page in video descriptions, and anyone who’s interested can support you and get some cool swag at the same time. While you have many monetization options for YouTube, remember that it’s hard to make money on YouTube. You’ll have to put out quality content for some time in order to build the viewership required for ads, sponsorships, and more. 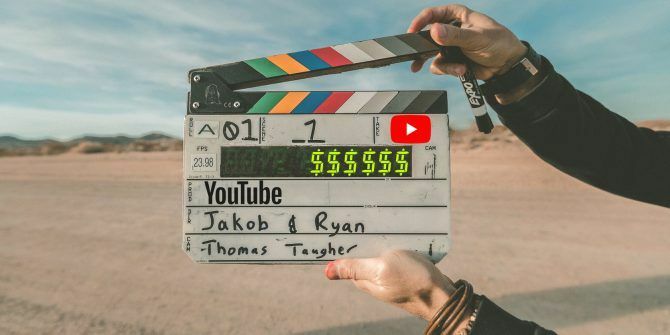 If you’re just starting out, focus on making awesome videos and do what you can to make YouTube a better place 7 Ways You Can Help Save YouTube From Itself 7 Ways You Can Help Save YouTube From Itself YouTube had a lot of problems in 2017, but we ordinary users can make it better. Here are simple, common sense ways you can help save YouTube from itself. Read More . And hopefully, after some time, your audience will come. You can then look fully into these monetization options once your channel becomes more popular. Explore more about: Online Advertising, Online Video, YouTube. I think Star Wars in general is tired, but I'm not a Star Wars hater, just a forty something year old who has grown up and bored of a galaxy far, far away. I think Hollywood as an industry has dug its own grave pumping out movie after movie after movie. There is no excitement. Kids care more for XBOX and PLAYSTATION than for movies. Did you mean to comment on another article? It seems you commented on this one by mistake. Very informative post, thank you! In your opinion, once you get past the requisite number of views/fans necessary to monetize, how frequently should content be produced? I think you should produce content frequently enough so your audience doesn't wonder where you are, but not so frequently that it burns you out. This will depend on the type of content you create. For example, if you do in-depth reviews of different products, it's reasonable to expect those will take you some time. Thus, you don't want to rush them just to get more content out, because your quality will suffer. However, if you take forever to make them, people who subscribed to you may lose interest. The most important thing is to stay consistent. If you can only upload once every two weeks but you always do so, that's better than a month where you upload 10 videos and then a month where you only put out 1.